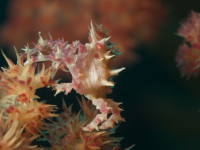 Tiny, pink and white crab, perfectly camouflaged for the Dendronephthya soft coral it lives on. Pink to red band markings on the legs and covered in spike-like tubercles. Unassessed by the IUCN Red list. It is widely spread throughout the Indo-Pacific, but can be difficult to spot. Indi-Pacific; Indonesia, the Philippines, to New Caledonia and Fiji, and up to Japan. 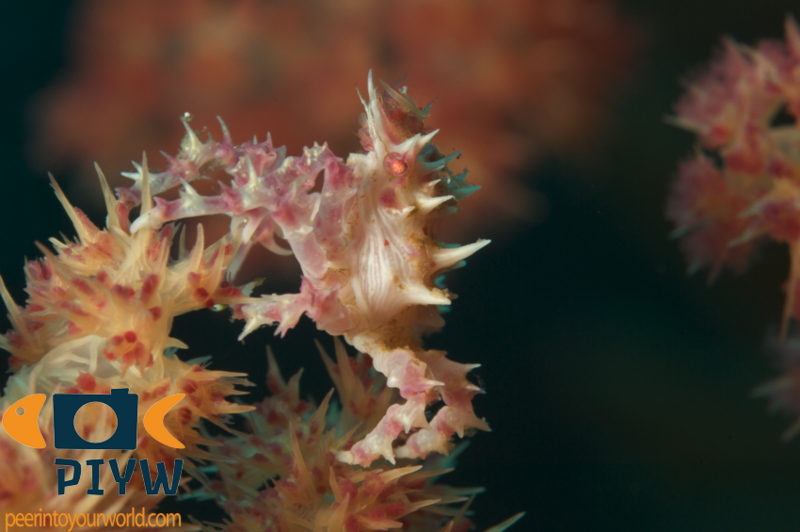 It can be found on soft coral of the genus Dendronephthya, in a depth range of 10-90 meters. It feeds on plankton and coral polyps. These crabs are tiny, so it might take some time before you actually spot one moving.